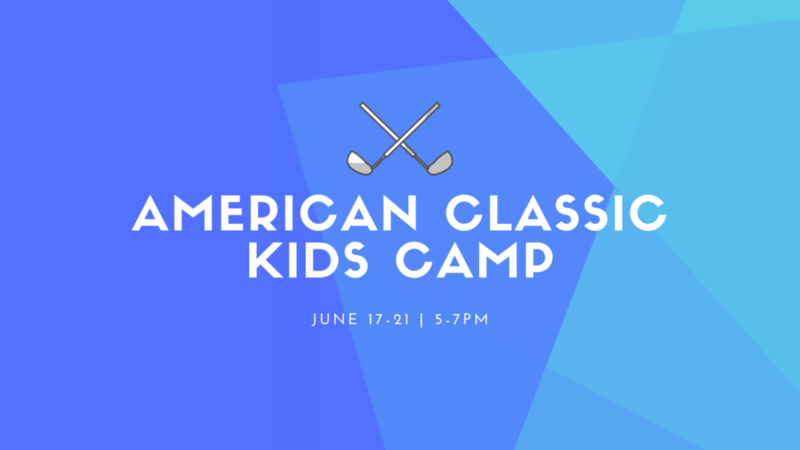 The annual American Classic Kids Camp is just under 3 months away! One of the highlights of our summer is a week of craziness and fun when we have our Youth Golf Camp. During this camp, kids ages 6-16 (both boys and girls) will develop a solid understanding of how to play the game of golf. They will learn the proper techniques of a golf swing, as well as learning about golf course etiquette. We will focus on how to grip the club, the proper posture in a golf stance, where the ball should be positioned, and how to line up our shots. Each day will also be themed, so that the kids get to let loose and have some fun. We all know that golf can be a little intimidating at first, but with the perfect balance of teaching and fun, your kid will love the game as much as you do! Clubs can be provided if needed.